Eicher Truck and Buses has received BS-VI certification for its E483, 4-cylinder, 3.3-litre CNG engine used for Eicher Pro 1049 CNG variant. Eicher Trucks & Buses, part of Volvo Eicher Commercial Vehicles Ltd (VECV), announced that it has received Bharat Stage-VI (BS-VI) certification for a heavy duty CNG engine from the International Centre for Automotive Technology (ICAT). 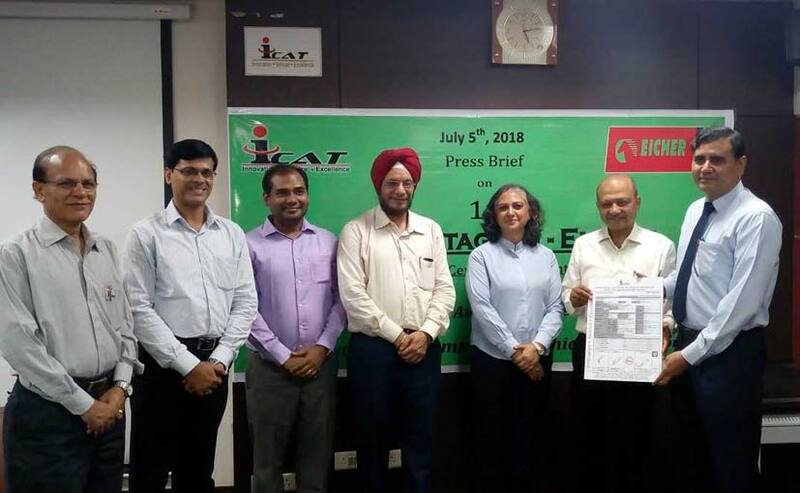 ICAT is a division of NATRiP implementation society (NATIS), under the administrative control of the Ministry of Heavy Industries & Public Enterprises, Government of India. The main objective of ICAT is to carry out R&D besides extending homologation facilities in the field of automotive engineering. Vinod Aggarwal, MD and CEO, VECV said, "We have already been producing Euro-VI compliant engines for Volvo Group and used that expertise in developing a CNG BS-VI solution, much ahead of the industry norms." The BS-VI certification is for Eicher's E483, 4-cylinder, 3.3-litre CNG engine and the same has been introduced in the above 3.5-ton vehicle category in Eicher Pro 1049 CNG variant. An ICAT spokesperson said, "Having successfully completed the compliance test of a product much ahead of the implementation date of April 1, 2020, this gives sufficient time for product stabilisation in terms of further working on making it more robust and cost competitive for the end consumers."